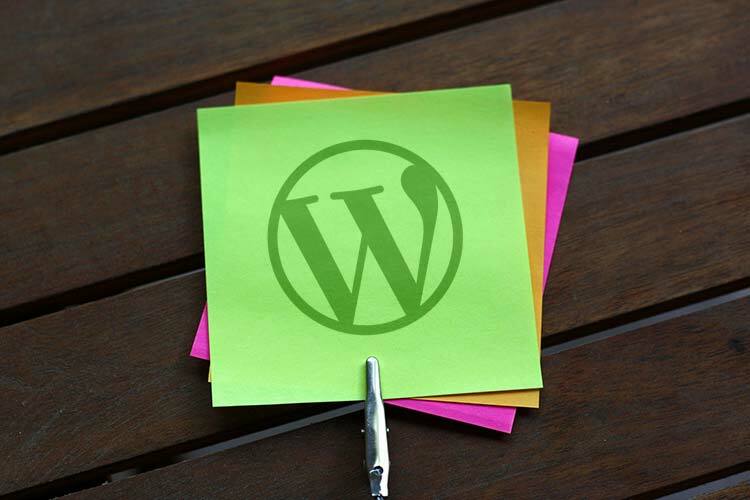 I have used WordPress many times in my Projects and Built web applications by using WordPress as a CMS. While using WordPress for your websites or web applications you will need to use Ajax in your WordPress themes or plugins etc. Today, I am going to show you how we can implement Ajax in our WordPress themes with the help of simple example. Suppose Our task is to show the categories in a drop down box and upon selection of Parent Categories, Sub Categories should appear in another drop down box depending on the selection of main categories. To achieve our task let’s take a walk through step by step. 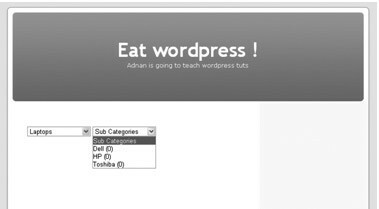 Create a template in WordPress( I am not going in details of what are the templates of WordPress and how they process in WordPress themes) in which we will implement ajax functionality. Open a new php file and save it with any name like I saved it with implement-ajax.php. Add the following code in the newly created page. Above code is self-explanatory. Template Name: Implement Ajax is the name of the template in wordpress and functions like get_header(); and get_footer(); are used to display the header and footer of the page. Lets include the jQuery file in our template and call the wp_dropdown_categories function to retrieve the Parent list of Categories in a drop down. I added second dropdown to display the sub categories in it. Let’s add the jQuery code to get the ID of selected main category and then pass it on to the functions.php file where we will get the sub categories of that parent category ID and then send the results back to the page without refreshing. 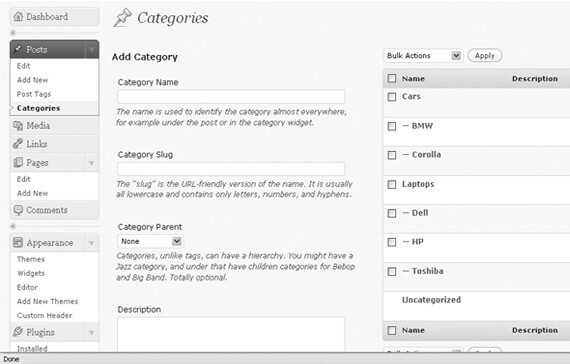 In the above jQuery code we added the code at change event of main categories drop down with Id #main_cat. .val() function gets the value of the selected option from drop down and stores in $mainCat variable. Now before calling ajax we will empty the sub category drop down #sub_cat with previous values if any. above action hook has 2 arguments. Wp_ajax_[here will be the value that is sent with data parameter “action”] so it will be wp_ajax_my_special_action while second argument is the callback function which will process the data and send the results back. add_action('wp_ajax_nopriv_my_special_ajax_call', 'implement_ajax');//for users that are not logged in. Load the page in the browser and you will see first drop down with parent categories loaded in it. Second drop down is empty and not loaded yet. Select any value from the first drop down and see how it works. 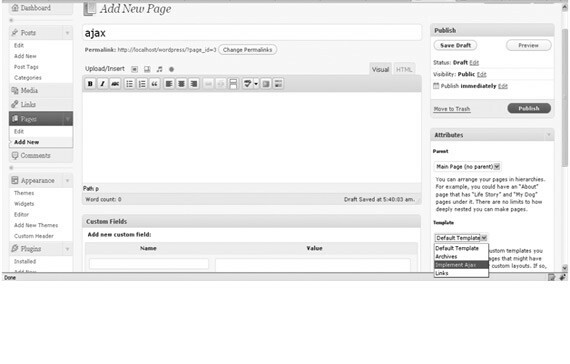 This was a simple example I used for showing you how to implement the ajax in WordPress themes. You can fit this implementation of ajax in any of your needs. If you have any problems regarding WordPress implementation you can ask me in comments. I may come up with solutions in my next tutorials. So, don’t be afraid from developing advanced themes or use it as a CMS for your Projects.